PowerPoint has always been a popular tool for creating training presentations. Many trainers and managers for example have already a variety of PowerPoint presentations at their disposal, which are being used for training purposes. It wouldn’t be a bad idea to breathe in new life to these training materials by converting them into an online training course, right? PowerPoint + Online Training Platform = Practical and Clever! With the steady progress of digitalisation these days, new medleys of possibilities have been opened up for everyone, and this goes as well for needs. Things may now seem to go fast for the busy trainer and manager; we do not have the luxury of time anymore. 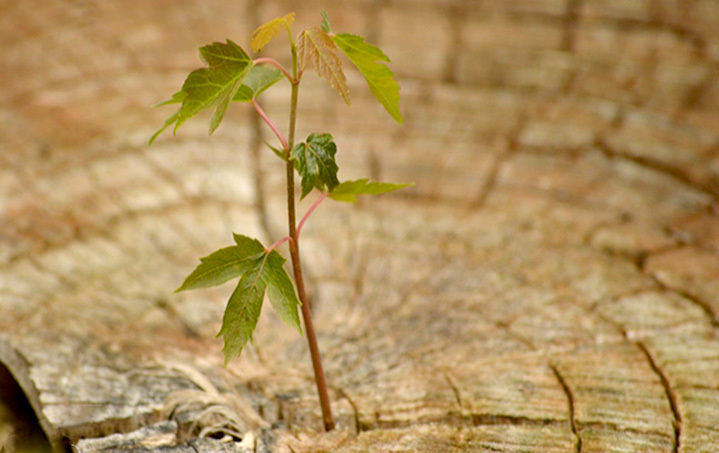 The challenges to train staff, customers and partners however, remain. To keep up with the inevitable, why not take advantage of what technology can offer you today? Such as a utilising an online training platform and reusing content you already have. This is very ideal for organisations that want to be alert and nimble in today’s fast-paced business environment. 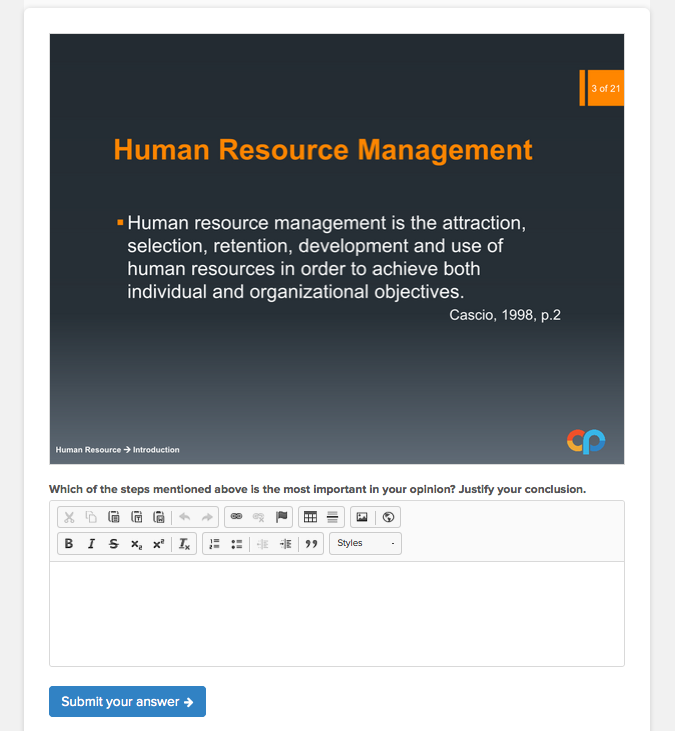 For instance, Coursepath lets you convert your PowerPoint presentation automatically into a course. Moreover, it allows you to enrich these with tests, online collaboration and multimedia-based interactive content, as well. Prepare your PowerPoint pay special attention to Tonality, Orientation, Focus and Length. Tonality: Present your slides using a professional and consistent style. Think along the lines of layout, fonts and colours, and make sure you know how to use the “slide Master function in PowerPoint”. Orientation: Let your course participants easily find their way in the course e.g. with a breadcrumb navigation displayed on the slides. Focus: Consciously consider the amount of text and information in your slides. People nowadays have a shorter span of concentration so you want them to stay engaged. Keep it simple, catchy and straight to the point. Length: Keep the overall length of your slides/training in mind as well. You do not want your course participants bailing out on you. Also see this entertaining talk: “Death by Powerpoint”. Finally, keep in mind that you are not physically present during the online training. By creating a voice-over, explaining each page, you are then ensured that you are connecting with your course participants. Coursepath for example lets you upload audio files such as MP3. Here is a link to an MP3-Converter, in case you need it. Now that we have enhanced our PowerPoint presentations, have employed the help of an online training platform and have converted these into a course, we can now think of ways on how to further enrich them. By adding tests and multi-media based content, as well as promoting collaboration, we can ensure interactivity and better engagement. Live testing, e.g. multiple choice, true and false, essay and even letting users upload their own files are ways to support a meaningful learning experience. In rapid e-Learning, you absolutely want to get your course participants engaged as quickly as possible with the content and with each other. Interaction, by way of discussions, is a great way to get the ball rolling, as well as getting feedback directly. You may want to take a look at the social collaboration aspect when choosing for an online training platform. Gone are the days when organisations invest in expensive and complex learning management systems! With todays’ breed of new generation and agile online training platforms such as Coursepath, your company can save time and money, and quickly roll out training courses on demand. You now get to focus on what is crucial for your e-Learning programs, and that is developing or reusing content that resonates well with your audience. Let technology assist you to be efficient and (cost) effective in your training efforts. So keep these notes in mind and you are already halfway there in creating practical e-Learning content the smart and easy way with PowerPoint. Good luck and keep on e-Learning!